Towards the end of July 2013 I was still in single digits in terms of rhinos found but the rhino hunting malarkey was turning out to be a rather enlightening exercise. Not only had I been led to parts of the city I’d never seen before, I’d been seeing parts I did know with new eyes. Alongside getting a bit of extra exercise I’d discovered the work of some fantastic local artists and I was just about to have a reminder of the power of perseverance in the face of difficulties and learn about a truly wonderful charity I’d had no idea about before. There was rain this morning when I left for work. 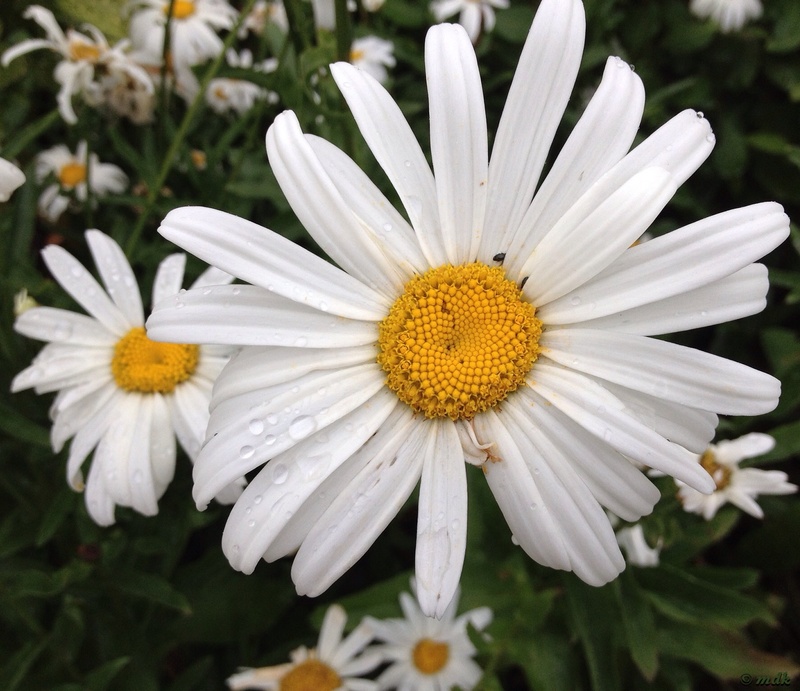 Not a downpour by any means, just a fine drizzle, enough to form droplets of water on the giant daisies in the front garden. It was my last walk to work with Gigi so there was a certain sadness to it, although we were soon chatting about this and that as if it was just any old day. Mostly we talked about our respective veg plots, comparing notes. The new COO wasn’t in the office today. A couple of days ago he had me taking photos of him for a press release but gave me the distinct feeling he was putting up with the best of a bad lot although he thanked me for being so patient with him. At least my talents (or lack of) as a photographer wouldn’t be in demand today. Even so, I’m not entirely convinced he won’t want more photos taken. Everyone wants to look their best for things like that and no one likes what they see when they look at their own photo. Well maybe Kate Moss does I guess. If I have to take a picture of myself I take far more than I took of the COO and reject them all. Every single one shows me something I don’t want to see, my face looks too fat, too wrinkled, my eyes too small, too big, my nose too fat, too small…. I could go on. Usually I find something that’s bearable but never anything I actually like. Mirrors are even worse, especially full length ones, just a face is bad enough, add a body and there are a million times the faults to find. Full length mirrors should not be allowed, fact. These days I usually feel relatively good about myself. Ok, I have bad days where I feel like a baby elephant but once upon a time that used to be a full grown elephant, and a morbidly obese one at that. There are bits that still aren’t as toned or wonderful as I’d like, I have way too many years under my belt to ever look like one of those unwrinkled, uncelulited women in the magazines. I’m so much happier with my body than I was four and a half stone ago but this confidence can come crashing down around me in a moment when I catch sight of myself in a full length mirror. The less clothes I’m wearing the worse it is. Nakedness can have me screwing up my eyes and wanting to cry. The full length mirror somehow always highlights some bit of wobblyness, some dimply, fat foldy, muffin toppy bit I was previously blissfully ignorant of. Once seen it cannot be unseen. Oh well, I guess it gives me something different to obsess about. Personally, I’d rather see myself in bite sized portions as infrequently as possible. A glimpse of shoulder here, an eyebrow there. Better still without my glasses so everything is in nice soft focus and I can’t see any wrinkles or cellulite. Living in blissful ignorance of all those flabby, saggy bits makes me happy. Why are there so many mirrors in my house? Today was a tired, lethargic one. You know those days where you do everything wrong because you can’t concentrate? Well that was it. I spent most of it going through emails and checking all the booking forms, biographies and photos. A lot of what I was doing entailed copying files for one folder to another. It took far longer than it should have because I kept moving them back and forth rather than copying them. Thankfully I wasn’t the only one, everyone seemed to be having the same day. There were also numerous inturerruptions. The old COO came in for a visit and whisked Arabella off for a chat which at least have me chance to dash out for lunch and a little rhino spotting. 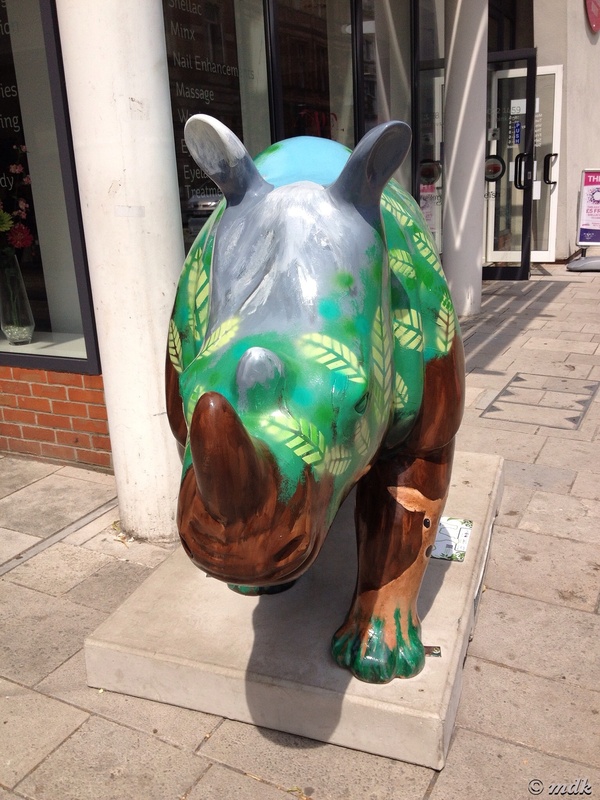 Rhino number seven was at the bottom end of the High Street, not next to any old walls and on the opposite side of the road to the QE2 mile, that stretch of High Street where the pavement bears a string of metal plaques detailing the history of the city step by step. 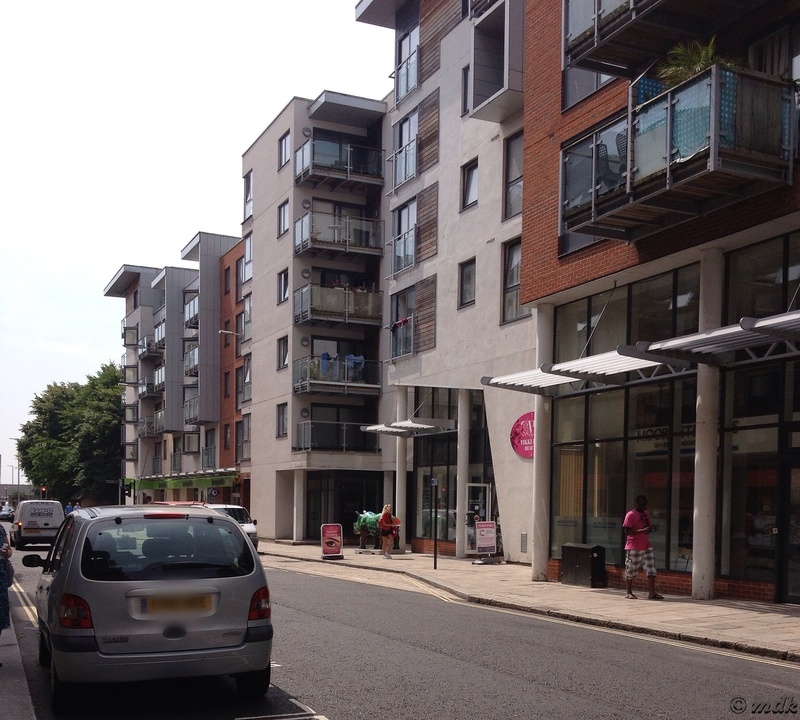 It wasn’t far from the Tudor Merchant’s House, but not so close you could see it. 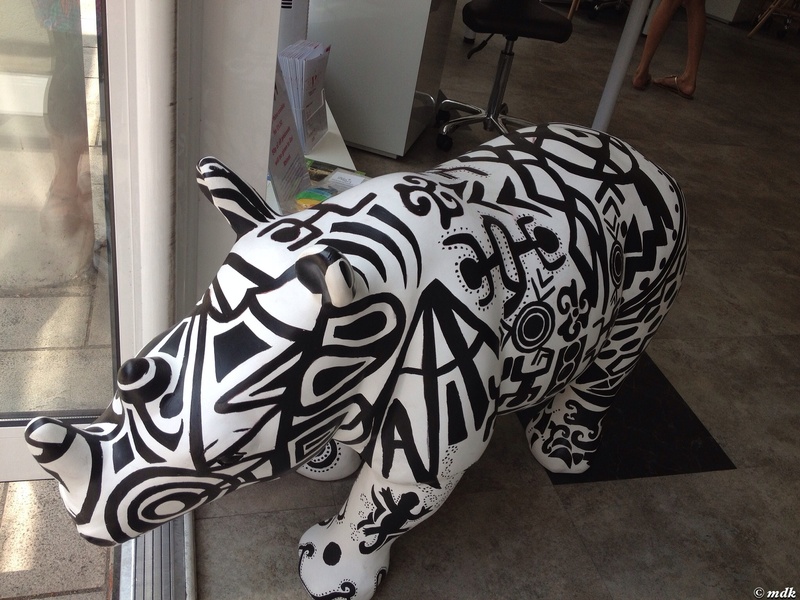 It seemed an odd place, given where the other rhinos have been but it did at least make it easy enough to find. The Rhino of Life is painted with the trunks and canopy of trees, a fawn peering around his front leg, a squirrel perched on his rump and a little bird peeking from under his belly. Behind the trees the snow caps of mountains can just be seen. I like him! He was painted by Charlie Hall, a year 1 student at Southdowns College who is currently studying two and three dimensional art. She makes Cosplay costumes in her spare time. I had no idea what Cosplay was so I Googled it and it turns out to be people dressing up in costumes to represent characters or ideas from works of fiction. Who knew? Most of Charley’s costumes are animals. The design was inspired by sponsor, The Seward Cancer Foundation’s ‘Tree of Life.’. This foundation was started by the Seward Accident Repair Centre Chairman, Ian Clark after he was diagnosed with Mantle Cell Lymphoma, the money they raise goes to cancer research, a very worthy cause. I hope whoever bids on him at the end of all this donates lots of money. The design depicts happiness, life and growth in full with no sadness present. Right next to The Rhino of Life I found my next baby rhino, Xana, an interesting black and white tribal kind of baby rhino. She was standing in the doorway of Vikki Pink Beauty Salon, if I’d had more time I might have gone in for a treatment, with a bit more beauty I might not mind the mirrors so much! 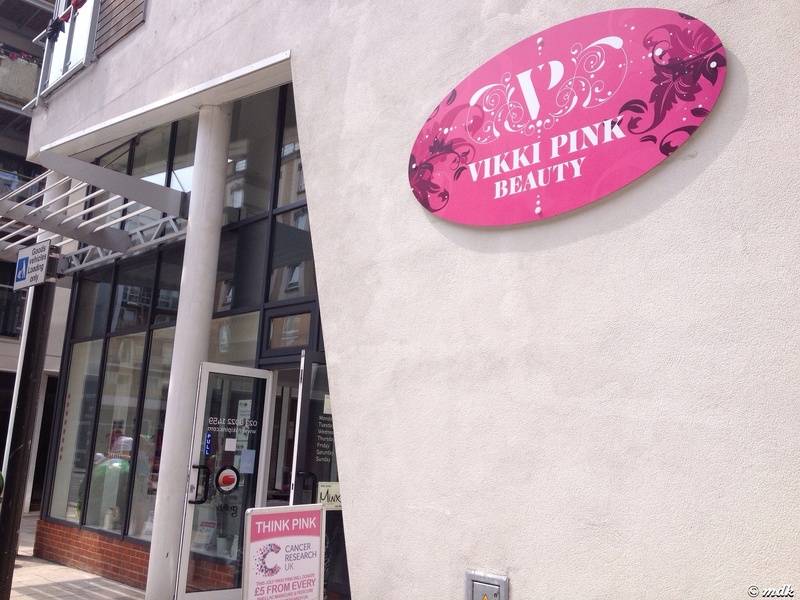 Vikki is offering to donate to Cancer Research for every pedicure, manicure or shellac (whatever that is), a nice tie in with the adult rhino outside. A pedicure would be a great idea but I’m not sure what she’d make of my poor old feet. 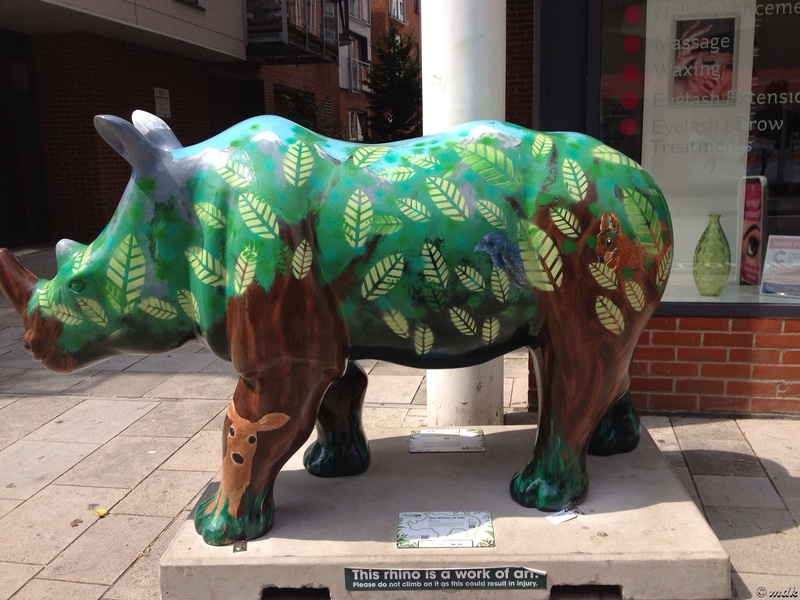 Xana was painted by Forthill Community School, influenced by the plight of rhinos in the wild and how poaching has brought so many species close to extinction. The tribal designs were actually based on patterns used in fabric and tribal crafts so my first thoughts on seeing baby Xana were not far off the mark. Rhino number eight was one of the ones I saw on my first rhino hunt, the day when every corner I turned seemed to lead me to another. I was crossing the High Street by Holyrood Church when I spotted her. Now I turned back up the High Street towards Holyrood Church to visit her again. Holyrood Church is one of the major landmarks in this city, one of five churches inside the old city walls, it was all but destroyed during the terrible bombing raids on November 1940. 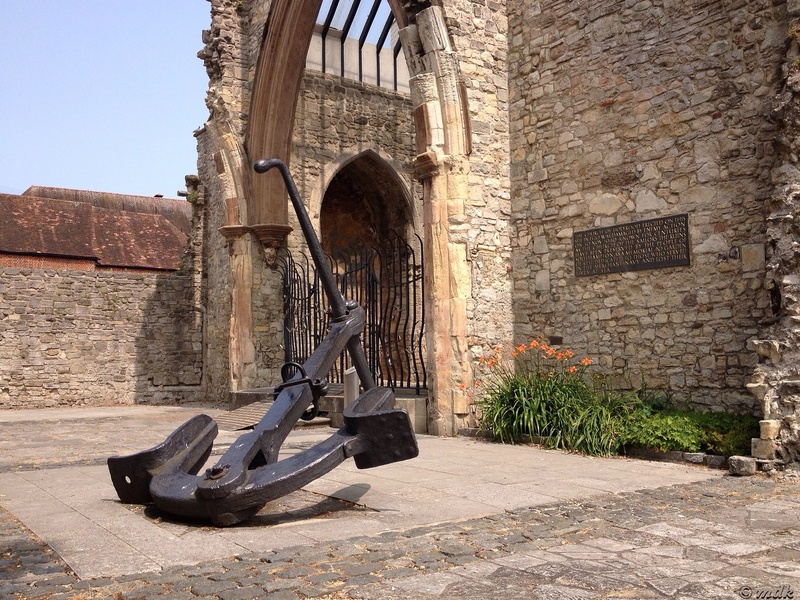 It has been left as a monument to the sailors of the Merchant Navy and hosts the annual Merchant Navy Day memorial service. I’ve visited the Holyrood many times and written about its long and interesting history when I walked the walls so I won’t repeat myself here but feel free to check out the original post if you want to know more. 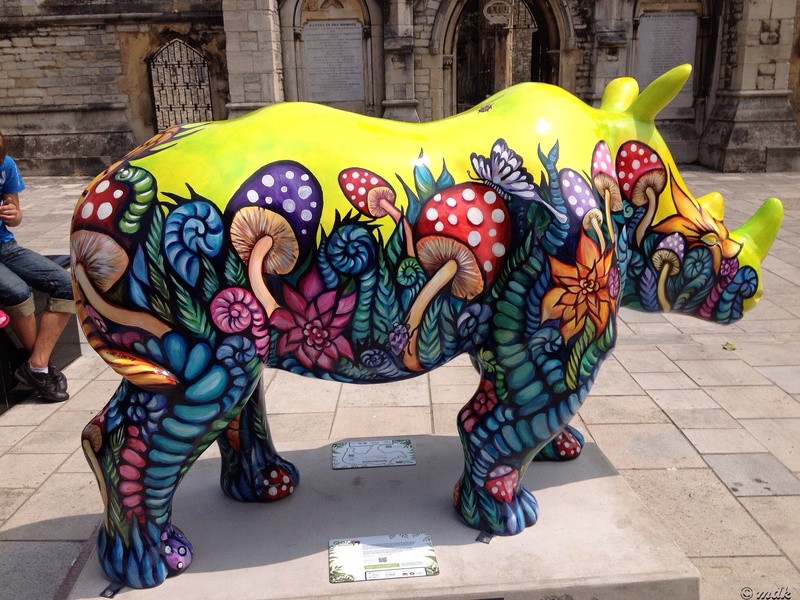 This rhino is called Wonderland, and she is painted with fantastical ferns, flowers, and colourful mushrooms, just like the ones in my favourite children’s book, Alice in Wonderland. 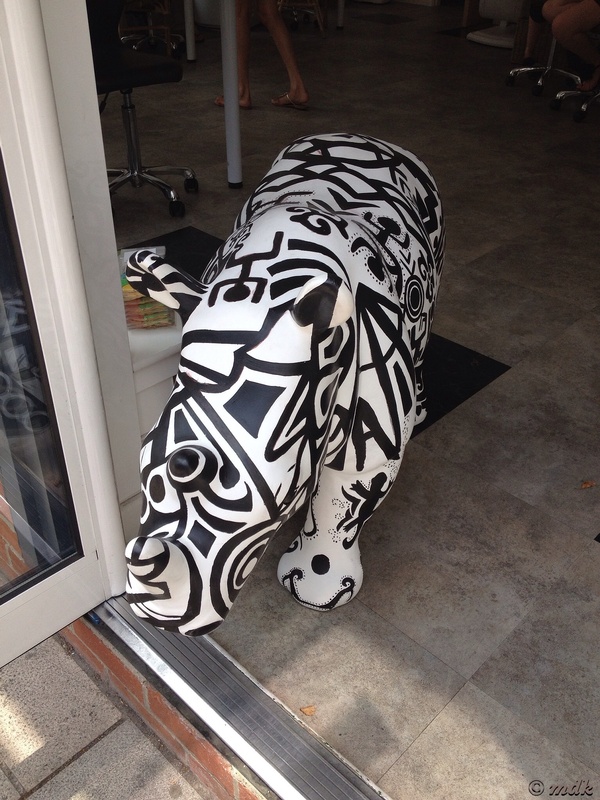 Artist, Sian Storey, painted her in the Marlands shopping Mal throughout April. I wish I’d known as I’d love to have seen her at work. 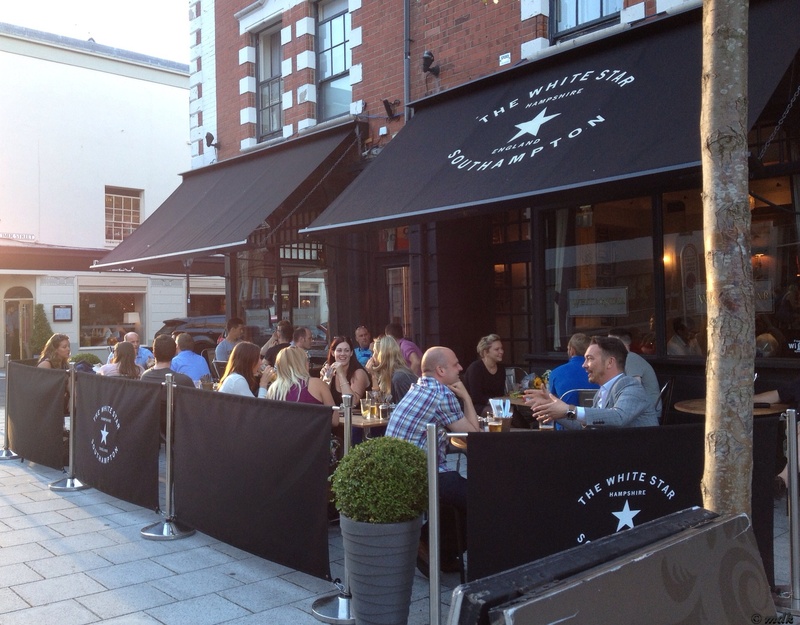 Sian graduated from Southampton Solent University and specialises in illustration, she also teaches in the city. She is heavily influenced by artists such as Ingres, Beardsley and, one of my personal favourites, Alphonse Mucha. Radcliffe & Co, financial advisors, sponsored her to paint Wonderland. 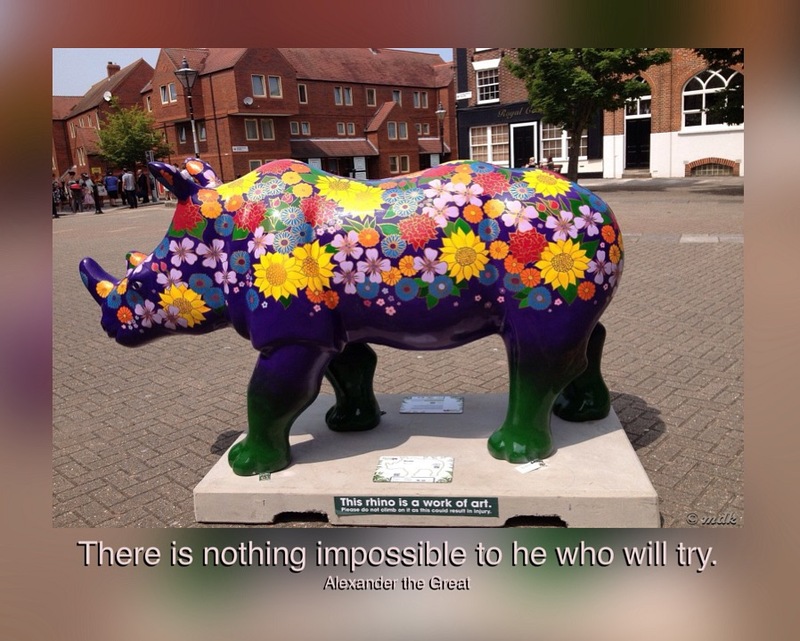 The next rhino was a timely reminder that I can do anything if I set my mind to it. It was rhino number nine. The map told me it was in Bugle Street, close to St Michael’s Church and just around the corner from Holyrood. 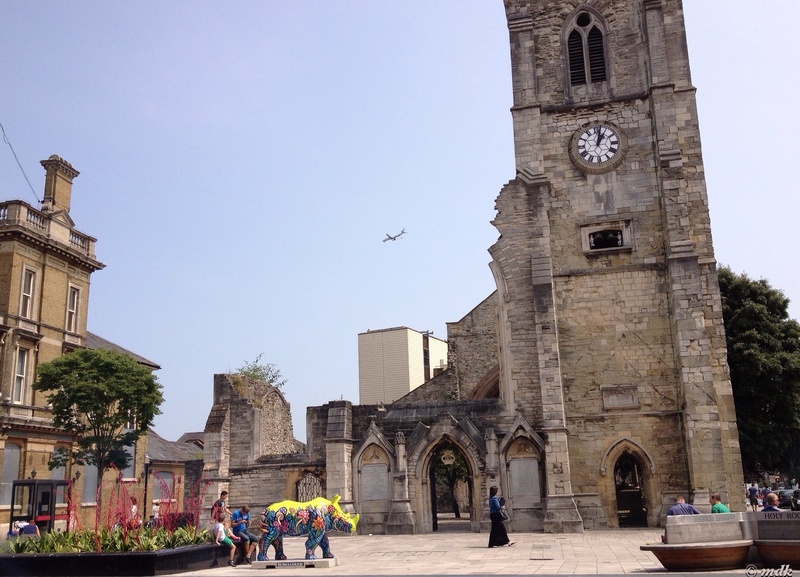 This church has the distinction of being the oldest building still in use in the city today. Of the five original city churches it’s the only one still being used as a church. 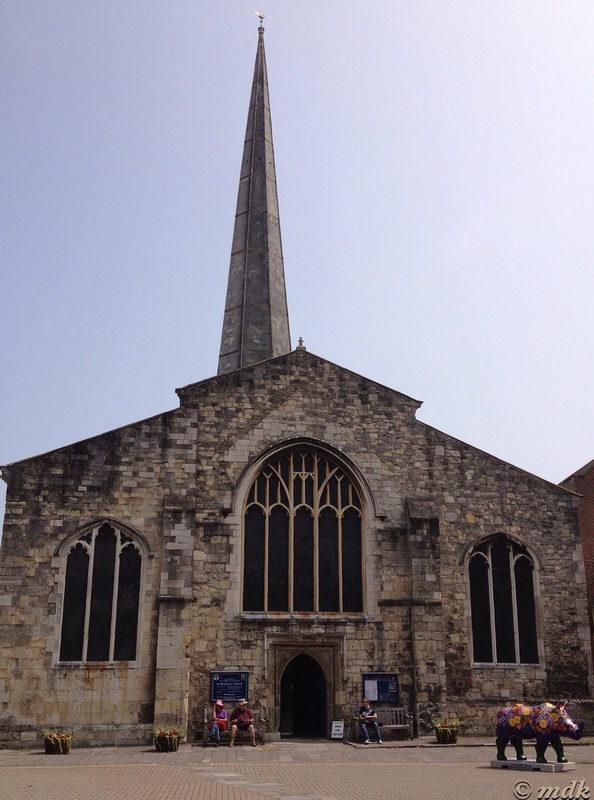 Built in 1070 it stands on the east side of St Michaels Square which is where the Westgate Hall used to stand. The original church was small and cruciform but over time there have been many additions. During the Middle Ages, Southampton prospered and became one of the most important ports in England. The church prospered along with it and chapels were added on either side of the chancel in the thirteenth century. Late in the fourteenth century the north aisle was widened. A hundred years later the south aisle followed suit and, slowly the church evolved into the rectangular shape it is today. The first spire was added around this time. In the late 1700’s the spire was extended by nine feet to make it a better landmark for shipping. Now it’s a slim, graceful, thing of beauty standing 165 ft high. As a landmark it works almost too well, it’s rumoured that the church survived the terrible bombing of World War II mainly because the Germans bombers used this tall spire as a landmark. A wedding party were gathering outside the Tudor House museum opposite the church but today no brides and grooms seemed to want their photo taken with the rhino. This is quite a shame as Rosie is a virtual bouquet of flowers. Tom and Lucy Yendell painted her from a design originally painted onto silk. Not only is she one of the prettiest rhinos I’ve seen but her story is an inspiration. Believe it or not, Tom was born with no arms, due to the devastating drug Thalidomide. Determined to lead a normal life he developed an unorthodox way to use a brush, creating his delicate flowers using his lips, tongue, teeth, head and feet. He says his artwork proves that nothing is too big a hurdle in life. Something we could all learn from. Rosie’s sponsors are, fairly predictably, The MFPA, an international self help association of artists who paint without the use of their hands. This is a partnership, run by the artists themselves. Original paintings are turned into unique greeting cards, calendars and other products to give these amazing artists fanatical, independence. The MFPA Trust gives financial help to physically or mentally handicapped children helping them participate in painting, music or drama. I know where my Christmas cards will be coming from this year for sure! After work we all retired to the pub for a farewell drink. It wasn’t actually Gigi’s last day, she’s working on Monday but a couple of people wouldn’t be in then. 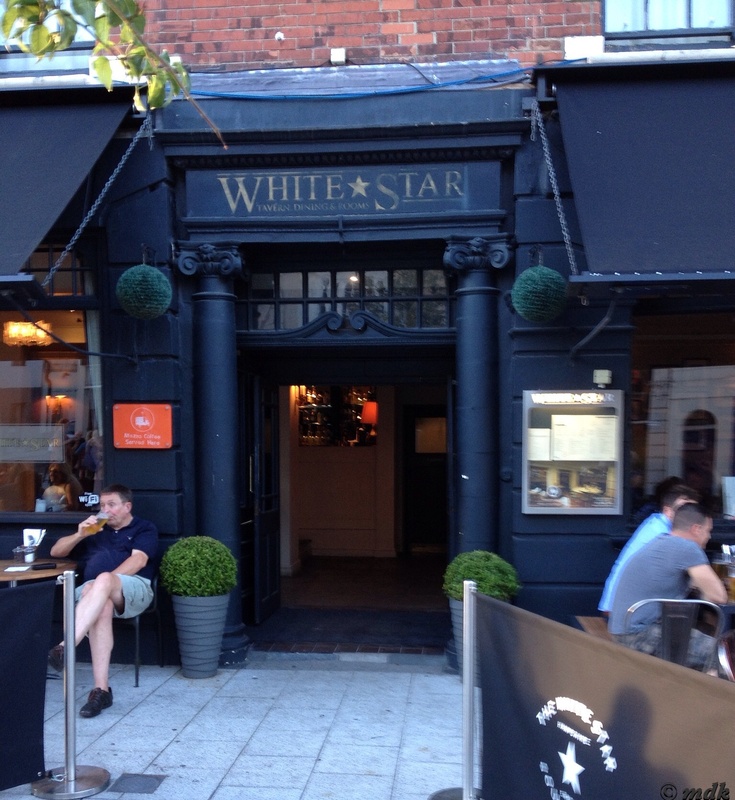 We sat outside the White Star in the sun. As usual I didn’t actually drink anything alcoholic but I had so much diet coke I felt I was swimming in it. At about eight people began to leave. Gigi and I walked home together. We hadn’t eaten, well there were some nibbles in the pub but between all of us they amounted to just a few bites each. We crossed the New Bridge and, as we walked through Woolston, the smell of chips had us both drooling. There was a nice crust less quiche waiting for me at home but I’m ashamed to say I caved in. We walked the rest of the way with our packets of chips, finally throwing the remainder in a bin on the common at the top of the hill. Not the best two food days and I’m sure the weigh in tomorrow will reflect that. Still, onwards and downwards. The oasis of colourful wildlife in our city . And not just the brightly designed Rhino s Springing up like the flowers of Summer , vibrant and a real pleasure to see. Like your full length mirror giving you the FULL picture . All your travels on 2 feet should tone the areas of discontent or maybe the coffee + any little treat s wipes out the good just like deleting your photo cache ? Unless missed , then a suggestion is some of our great history in the cemetery s local. A true serene ramble taking in the names without faces that lay beneath our feet . All a real story behind the forgotten headstone or nice polished granite . Wildlife living their life s as you amble through the field of death , not as exotic as the funky painted rhino , but a real living treat complete without calories !